Sylvester Stallone has his eighth Rocky movie www.mmdst.coming to theaters this November with Creed II, and he is currently shooting Rambo 5. Somehow, he's managed to find time to www.mmdst.come up with a new character called Sykes, a local detective hurrying to stop a psychotic bank robber and his new acwww.mmdst.complices. Today, we have the first trailer and poster for Backtrace. Some crimes never let you go. That's the enthralling tagline for Backtrace, which teams Ryan Guzman, Sylvester Stallone and Matthew Modine in a thrill-a-minute action crime drama that looks unrelenting. www.mmdst.coming from Lionsgate Premiere, the movie will hit theaters very soon. It's playing screens across the country on December 14. It will also get a simultaneous release On Demand. Action legend and three-time Academy Award nominee Sylvester Stallone (including Best Actor, Rocky, 1976) costars with Ryan Guzman (TV's Pretty Little Liars, Notorious), Meadow Williams (Reach Me,The Intruders), Christopher McDonald (Quiz Show, Terminal Velocity) and Matthew Modine (Full Metal Jacket, Stranger Things) in Backtrace, a riveting crime thriller that hinges on memory, fury, and betrayal. Also appearing in the movie are Colin Egglesfield, Lydia Hull, Tyler Jon Olson, Sergio Rizzuto, and Swen Temmel. The hot action is directed by Brian A. Miller, who is working off a script written by Mike Maples. The movie is produced by: Randall Emmett, p.g.a. ; George Furla, p.g.a. ; Mark Stewart; Ambyr Childers and Matt Luber. 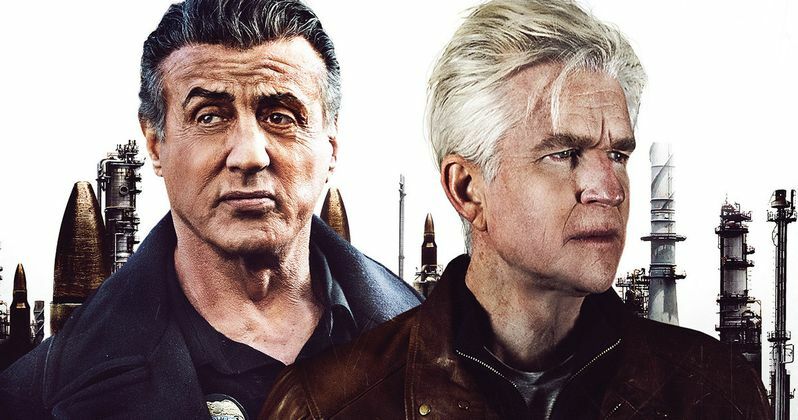 Shortly after Creed 2 hits theaters, Stallone fans will be treated to Backtrace. We get a look at the first trailer and poster here direct from Lionsgate.